A San Diego lawmaker’s bill to regulate concealed carry weapons is headed to Gov. Jerry Brown’s desk after receiving final bipartisan approval Monday from the Assembly. 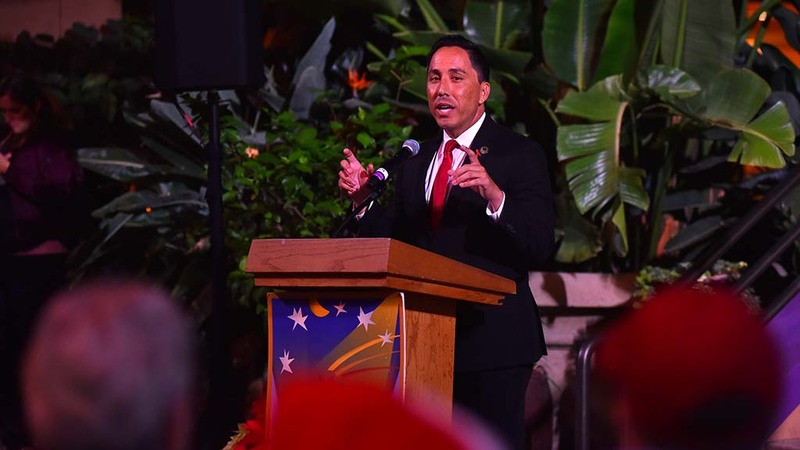 Assembly Bill 2103, introduced in February by Assemblyman Todd Gloria mandates a minimum of eight hours of training and live-fire shooting exercises to obtain a concealed carry permit in California. Under current state law, no training is required to acquire a concealed carry permit and/or weapon, he said. Brown has until Sept. 30 to sign or veto the bill. Gloria’s spokesman, Nick Serrano, expressed optimism that Brown will sign it into law, noting that Gloria’s office and Brown’s office have worked together through the amendment process. The bill’s bipartisan success “speaks volumes,” Serrano said, noting that gun violence has continued to plague the country and draw headlines, most recently on Sunday with a shooting at a video game tournament in Jacksonville, Florida, that took several lives. However, Michael Schwartz, executive director of the San Diego County Gun Owners political action group, criticized the new bill as unnecessary. The California penal code requires applicants for concealed carry to complete an approved training course, but doesn’t specify a minimum number of hours or live-fire exercises, leaving that to the discretion of local authorities.